One Week Until my Exhibition Opening! My exhibition ‘Nothing was left to chance, Everything was clinical ‘ opens at the Custom House Studios and Gallery Westport on Thursday 3rd of November at 7.30pm. 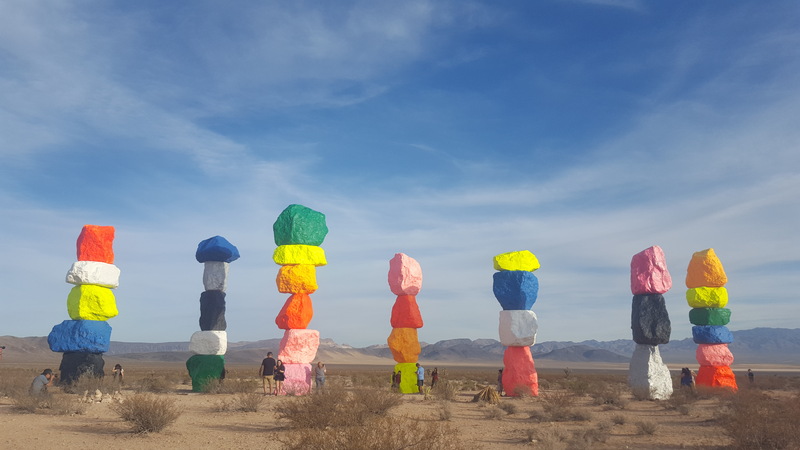 On the drive from Joshua Tree to Las Vegas I made a detour and visited the Seven Magic Mountains. They were amazing, so cool to see in person – the scale and colour were breathtaking. 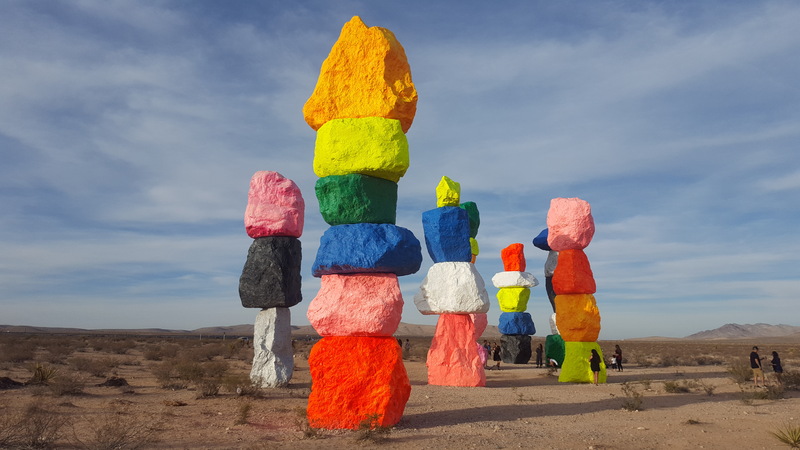 For more information on Ugo Rondinone’s Seven Magic Mountains click here. 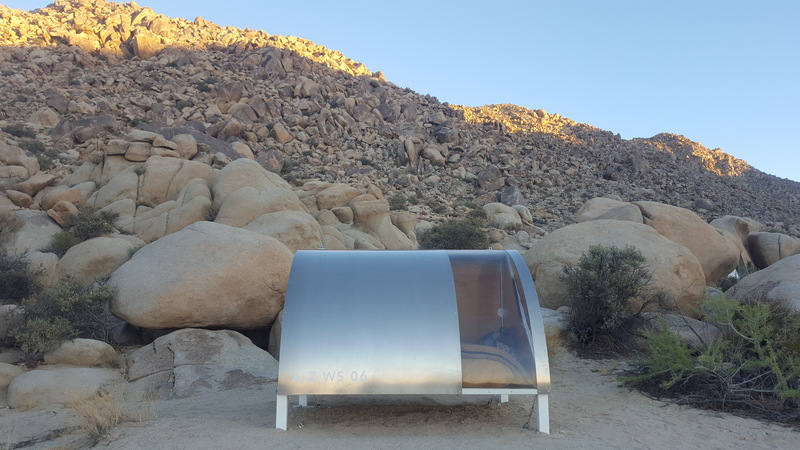 Sited up in the rocks on a ten acre, boulder strewn, parcel is untitled by Sarah Vanderlip (two aluminum truck heads welded together) – just a ten minute hike from my wagon station at A – Z West. 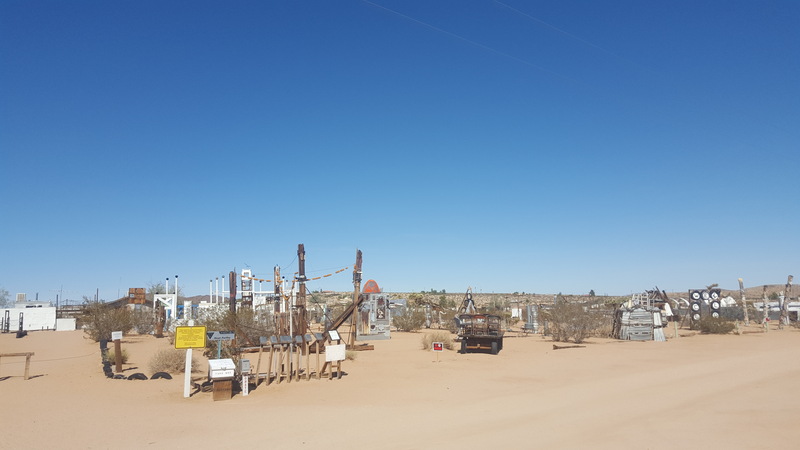 It is part of the High Desert Test Sites – for more information click here. I hiked up to see the artwork, I was super excited to see it in person, and it didn’t disappoint. 2 weeks until my exhibition opening! 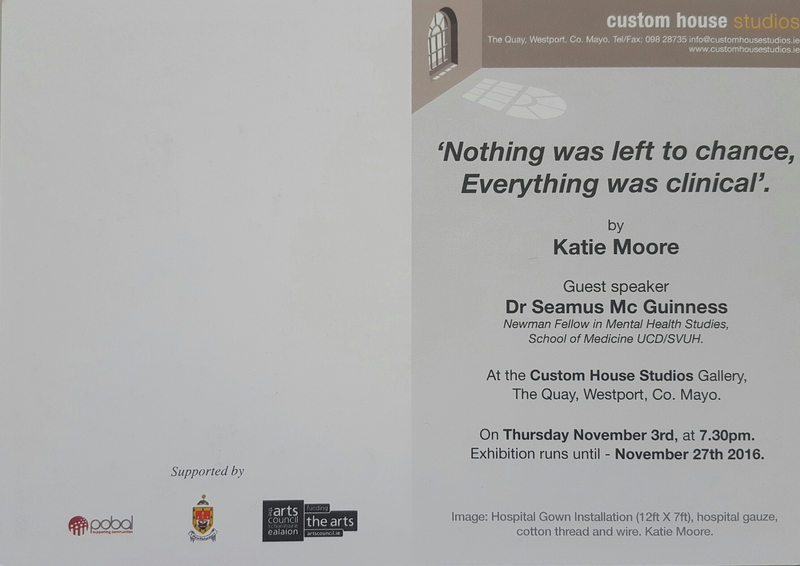 This day 2 weeks is the opening of my exhibition ‘Nothing was left to chance, everything was clinical’ at the Custom House Studio’s and Gallery Westport. I hope to see you there. All are welcome. 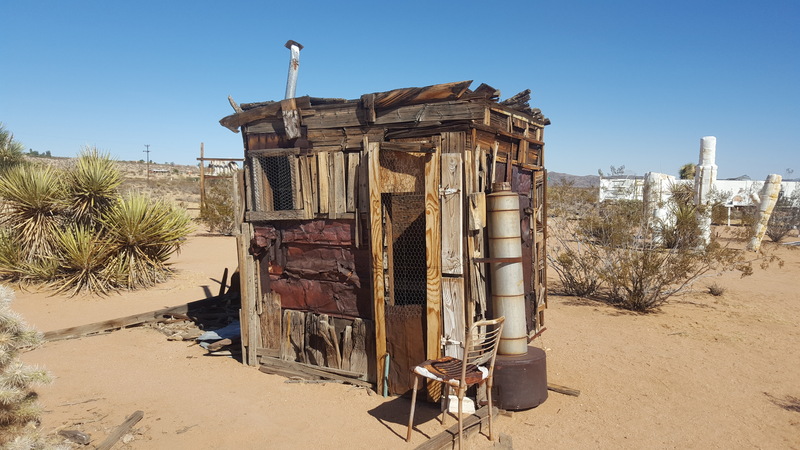 During my time in the Joshua Tree desert I visited Noah Purifoy Outdoor Desert Art Museum, it was a 15 minute drive from the A – Z Wagon Station Encampment. 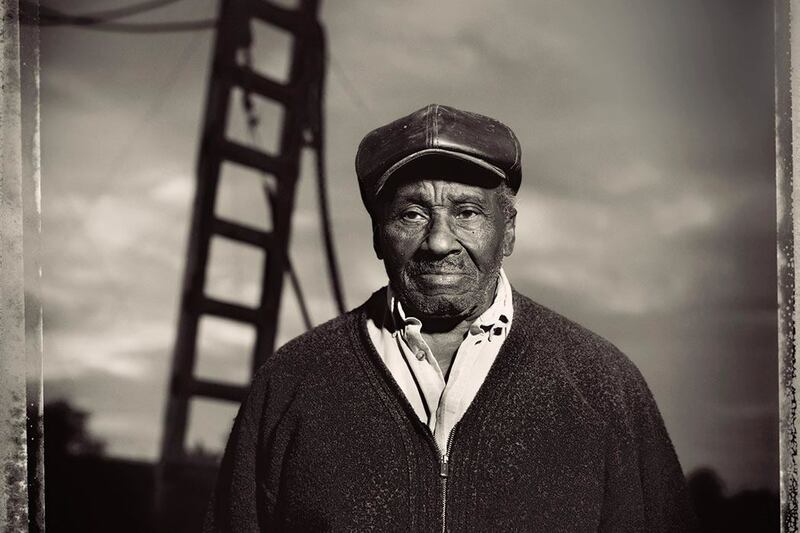 Noah Purifoy (1917–2004) was an African American visual artist and sculptor, co-founder of the Watts Towers Art Center, and creator of the Noah Purifoy Outdoor Desert Art Museum. He lived and worked most of his life in Los Angeles and Joshua Tree, California. He is best known for his assemblage sculpture, including a body of work made from charred debris and wreckage collected after the Watts Riots of August 1965. 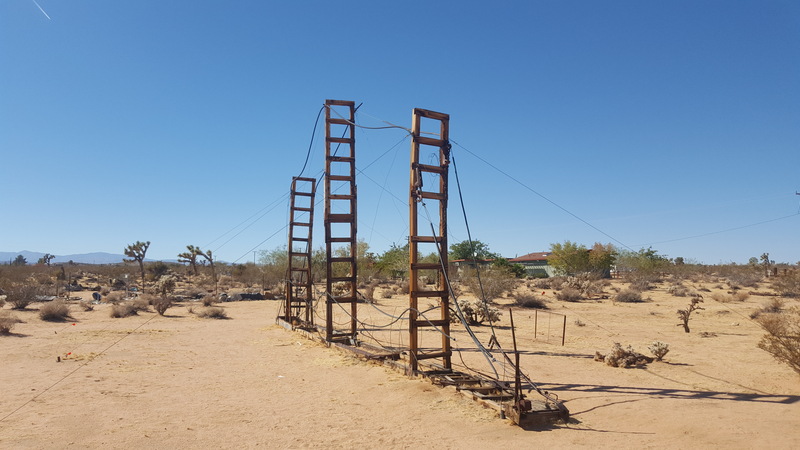 In the late 1980s, Purifoy moved to the Mojave Desert, and over the last fifteen years of his life built what is now the Noah Purifoy Outdoor Sculpture Museum. 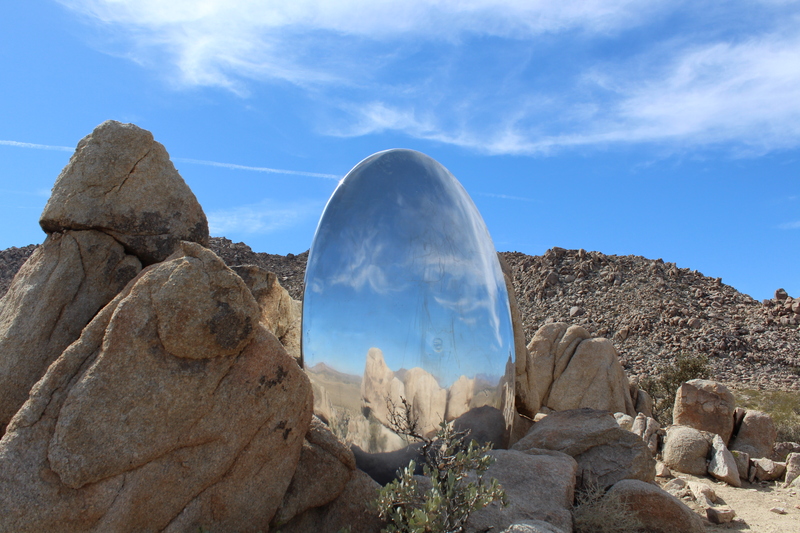 Located on 10 acres of open land near the town of Joshua Tree, California, the museum contains over one hundred works of art, including large scale assemblages, environmental sculptures, and installation art created by the artist between 1989–2004. 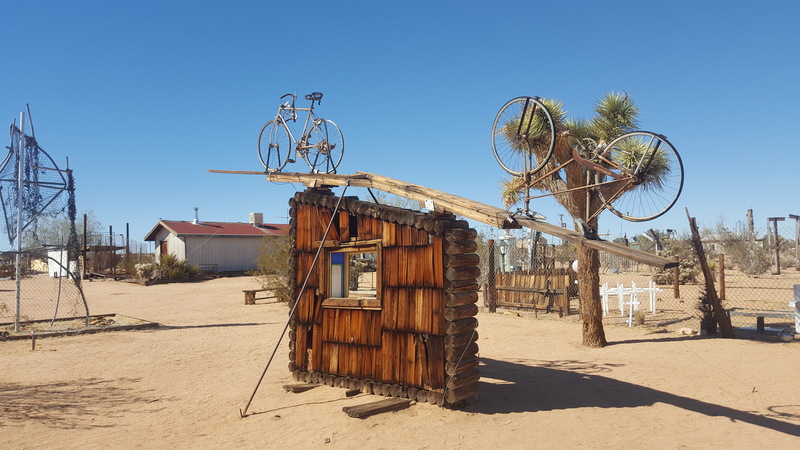 I really enjoyed my visit to Noah Purifoy Outdoor Desert Art Museum in Joshua Tree – the first time I’ve ever been to an outdoor desert museum! 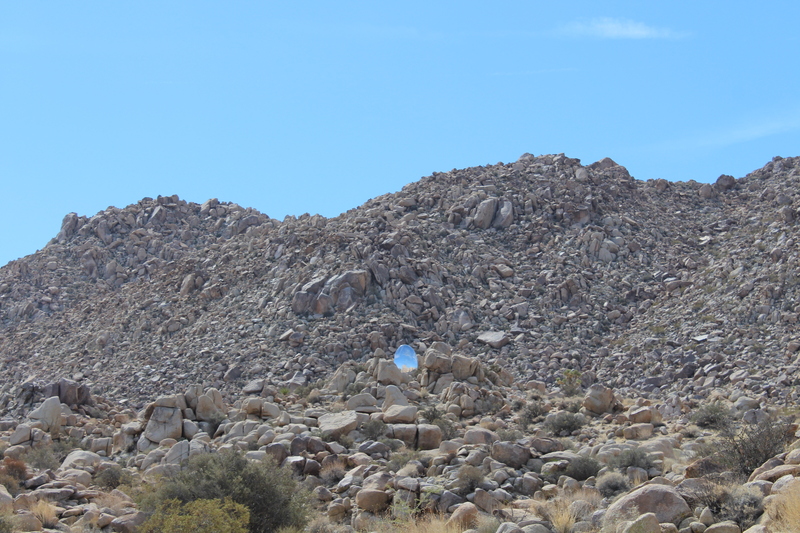 Basically it is art pieces made of trash placed in the desert. It doesn’t sound that interesting but when you get there it’s pretty cool, the atmosphere created by the artwork is inexpressible! 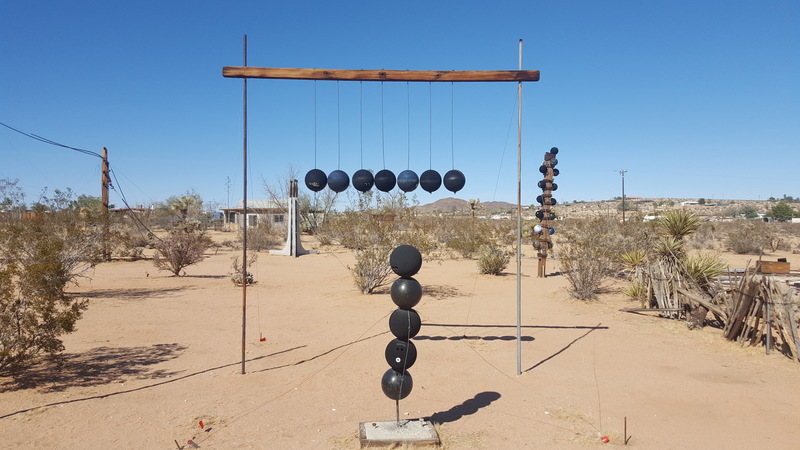 As it is in the middle of the desert, it is super quiet, so some of the art pieces make different sounds created by the wind. The landscape becomes part of the art, or the art becomes part of the landscape! 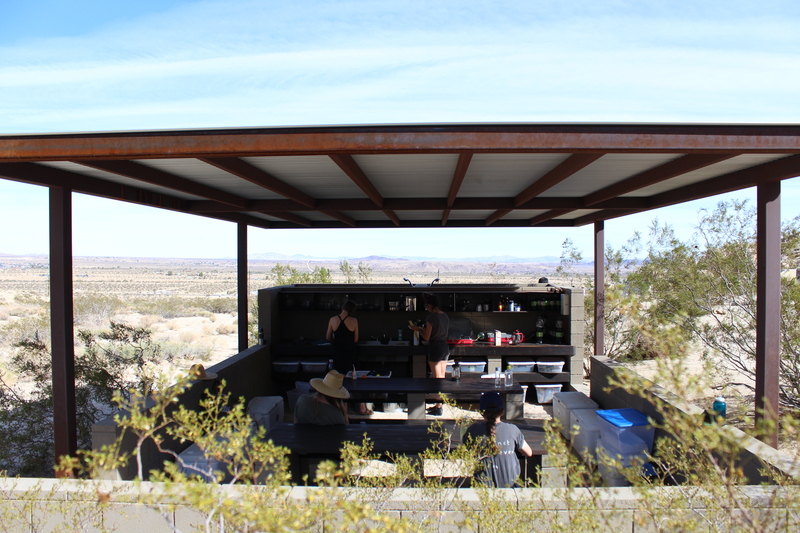 I arrived back to Ireland yesterday after my residency at Andrea Zittel’s A – Z West. What an amazing experience. A-Z West is located on over fifty acres in the California high desert next to Joshua Tree National Park. Since it’s inception in fall 2000, A-Z West has been undergoing an ongoing conversion into a testing grounds for living, in which spaces, objects and acts of living all intertwine as a single ongoing investigation into what it means to exist and participate in our culture today. “How to live?” and “What gives life meaning?” are core issues in both Zittel’s personal life and artistic practice. Answering these questions has entailed the complex relationships between our needs for freedom, security, autonomy, authority, and control, observing how structure and limitations often have the capacity to generate feelings of freedom beyond open-ended choices. A – Z West opens twice a year for 12 residence – artists, writers, creatives, etc. I really enjoyed my time there, everyone was so nice and we all got on great together. It was my first real experience of communal living. Every morning we all met at 10 am, including Andrea, for an hour of ‘power’, where we would accomplish a task. It was crazy to see how much could get done by so many people in one hour – many hands make light work I guess! My daily routine at A – Z West really depended on day light as there wasn’t any electricity. 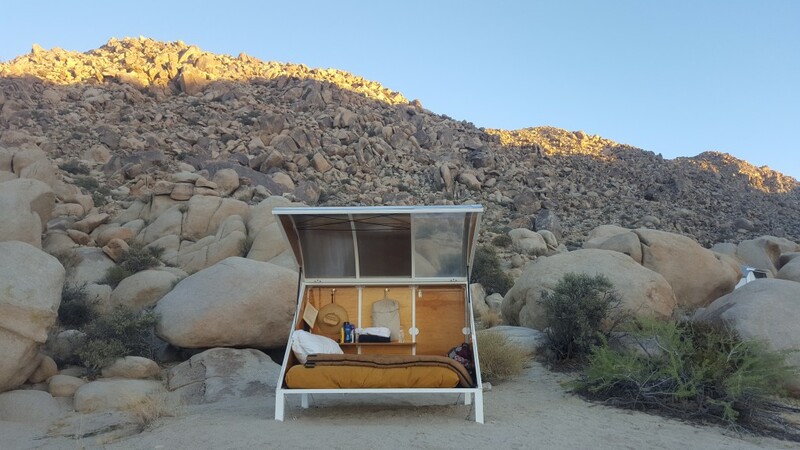 I got up around 7 am went for a morning hike, had an outdoor shower (that was surprisingly lovely), 10 am was ‘Power Hour’, from 11 am on wards I could do what I wanted (I explored the area, checked out different outdoor museums, high desert test sites, hiked in the Joshua Tree National Park). It got dark around 6.30 pm, we would all have dinner and then chat by the campfire. Some days it was nice to just hang out in your wagon station, read your book or do some sketching. A group photo. 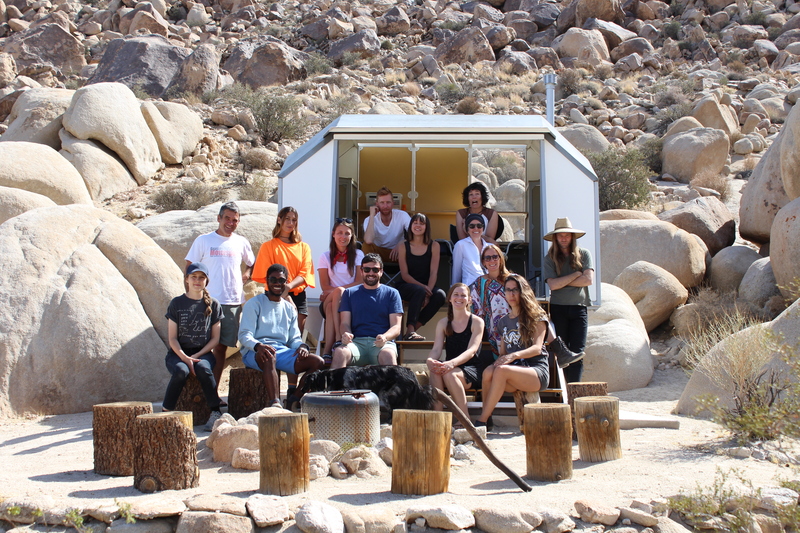 A – Z Fall 2016 encampment – First session. Communal life was like a social experiment for me – seeing how we all got on together and how we were interacting with each other. It was so interesting to hear everyone’s story. 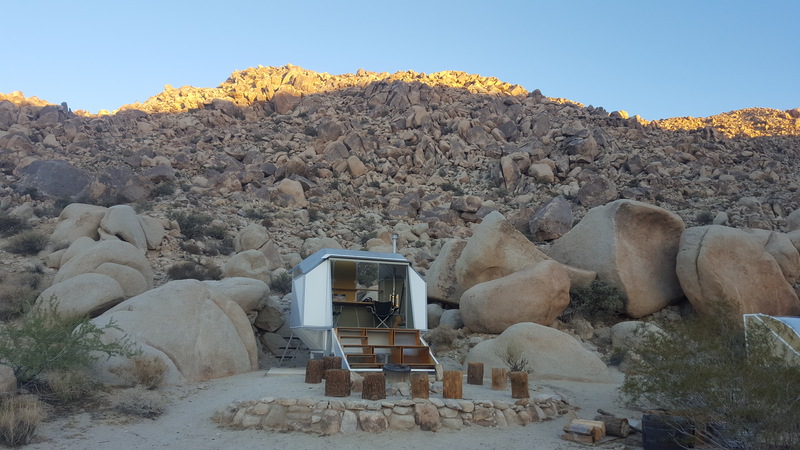 At approximately 2,700 feet above sea level, Joshua Tree and its surrounding communities are located in the California High Desert. The high desert landscape is harsh and beautiful at the same time. I feel so grateful for my residency at A – Z West, definitely a trip of a life time. 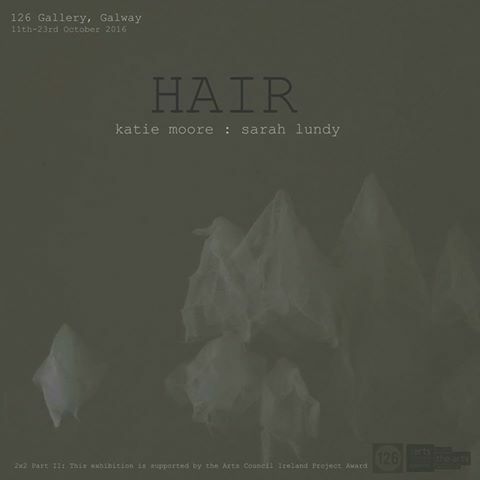 My exhibition HAIR with Sarah Lundy opens at 126 Artist Run Gallery Galway this Tuesday 11th October at 6 pm…. it runs until the 23rd of October. 126 is pleased to invite everyone to the opening of Hair, a collaborative exhibition of works by Katie Moore and Sarah Lundy. The exhibition opens Tuesday at 6pm and all are welcome. 126 is open Wednesday-Sunday 12-6 (or by appointment) for the duration of the exhibition. About the Exhibition | In their thoughtful practice, Lundy and Moore probe corporeal decline, forming unusual links between the body and organic matter, poison and medication. Lundys work continues her practices preoccupation with systems and spaces and the natural/synthetic binary. She approached the collaboration under the concept of the body and frailty; using solely botanical elements depicted often in figurative, frail and human scale, the body is explored as a temporal and twisted entity. Giant hogweeds sat next to poppies hark to the poison/pain relief duality. With a strong emphasis on lines, the action of contemporary drawing in space is pivotal to the aesthetic. Continuing her interest in subtly addressing feminist issues in her work, these pieces also hark to the female and its relation to nature, with a nod to the notion of ‘woman gone wrong’. Such concerns pair beautifully with Moore’s examination of her own clinical lifestyle creating works across media that possess a distinct ethereal quality. soft gauze, human hair float in space, and stand trapped within unyielding perspex.A mirrored emphasis on line, the body and a sense of self and femininity are brought into a gentle yet dark dialogue between the works of these two artists. Katie Moore |Katie Moore is a young and passionate visual artist based in the west of Ireland. Katie uses textiles, stitching and installation in addition to drawing and video to create visual experiences of the world. 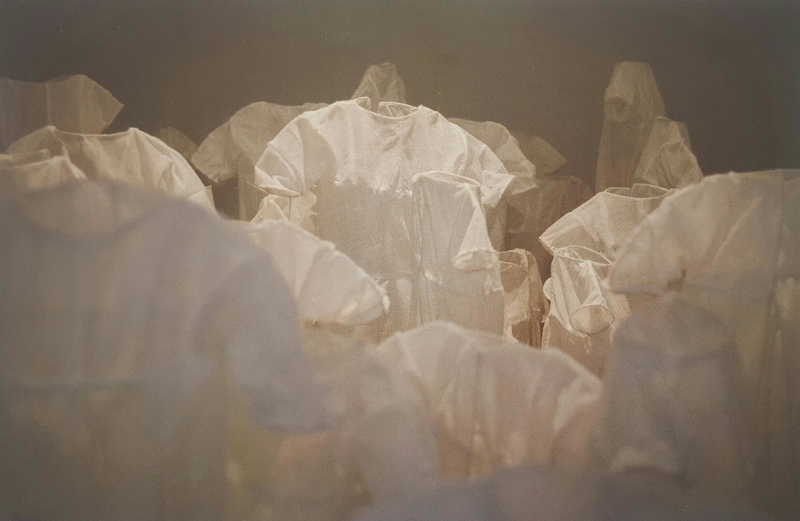 Her work is very conceptually driven, every stitch has a purpose. ‘The work I make comes from a feeling of being compelled to make it, giving the topic a voice, telling a story, an act of memory’ explains Katie. 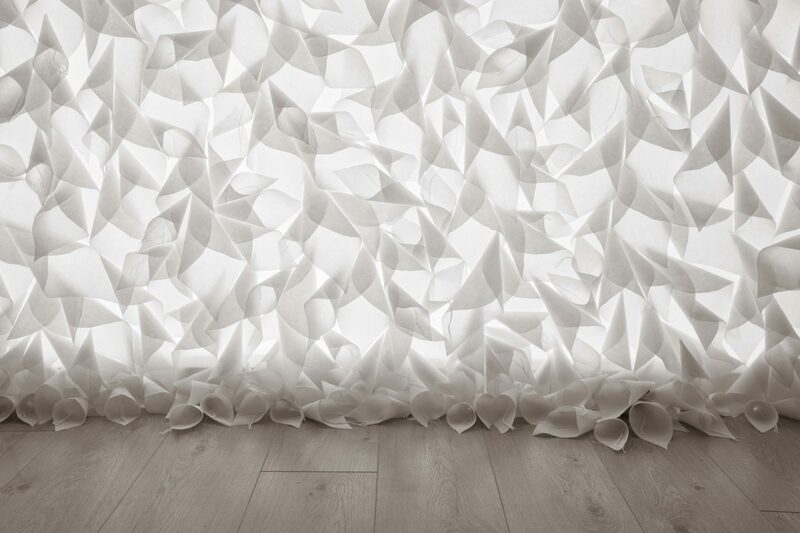 Sarah Lundy | Lundy is a visual and sound artist based in County Leitrim; she holds an MA Arts Policy & Practice from the Huston School of Film at NUIG [distinction] and an MA Fine Art from the OCA UK [distinction]. Regularly featured on RTE lyric FMs experimental sound show NOVA this year, recent performances include the Sonic Arts Waterford festival last month. She will be artist in residence in Krems, Austria for the month of November awarded by The Custom House Gallery, Westport, Mayo. About the Project | 2×2 is a project that pairs graduate artists with established and mid career artists to develop an exhibition as peers. With the graduates resident at 126, their collaborators working with theming satellite capacity to allow them to pursue other projects. The first phase of 2×2 resulted in a partnership between Shane Berkery and Ruby Wallis whose exhibition ‘With Each it is Different and the Same’ was shown in 126 this August. The curatorial concerns that lay behind the 2×2 project will be examined in an independent publication commissioned throughout the year.